Being left without cooling on a hot day is a nightmare for any homeowner in the Greater Charlotte Area. When your air conditioner isn’t working properly or constantly running, repairs are necessary to put your system back in business. For all your residential air conditioning needs, Air Today is here to help. 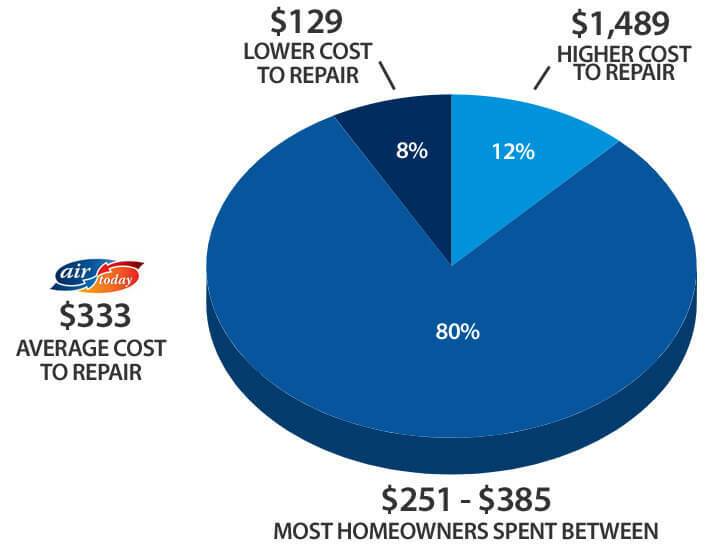 Cost is usually the first concern a homeowner has when the need for an AC repair arises. Air Today strives to be Charlotte’s best HVAC company. So when you have an inconvenient breakdown, we’re here to help you get through it quickly. All of our customers receive a one-year guarantee on parts and labor. Your air conditioner is 10 years or older. You’re experiencing higher energy costs. Your air conditioner is out of warranty. Your air conditioner uses R-22 refrigerant. Did you know professional preventive AC maintenance is recommended by your manufacturer? It may also be required under many home and manufacturer warranties. Air conditioner maintenance helps ensure your system is in good working condition, maximizes efficiency and may also protect your air conditioner from unnecessary damage. Air conditioner maintenance should be performed annually, preferably before the start of cooling season to ensure your air conditioner is in shape to cool your home in the coming months. Air Today offers a Preventative Maintenance Agreement and performs AC tune-ups. Our valued maintenance members receive a two-year guarantee on parts and labor. Are you in need of an AC service in Charlotte, Rock Hill, Gastonia, Monroe, Mooresville, Waxhaw, Weddington, or the surrounding areas in North and South Carolina? Contact Air Today to speak with a comfort advisor and schedule your AC service.